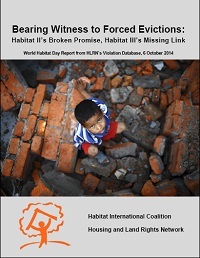 The 2014 HLRN report from the Violation Database (VDB) addresses the Habitat III process and the ongoing preparations for the 2016 world conference. VDB data demonstrate the proliferation of forced evictions around the world, which the previous Habitat II Agenda promised to end. 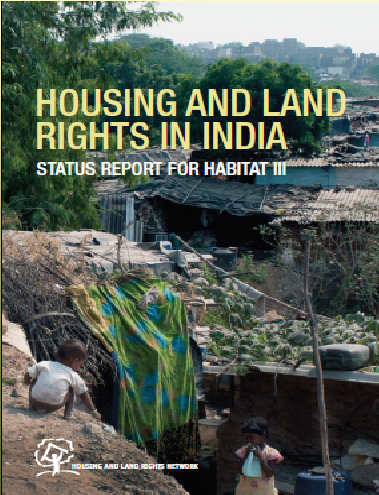 While “official” guidelines for national reports to Habitat III avoid this contradiction, HIC-HLRN’s Habitat Day 2014 review of violations reminds readers of the need for evaluating the solemn Habitat II commitments made 20 years ago, and the implementation gaps that persist.